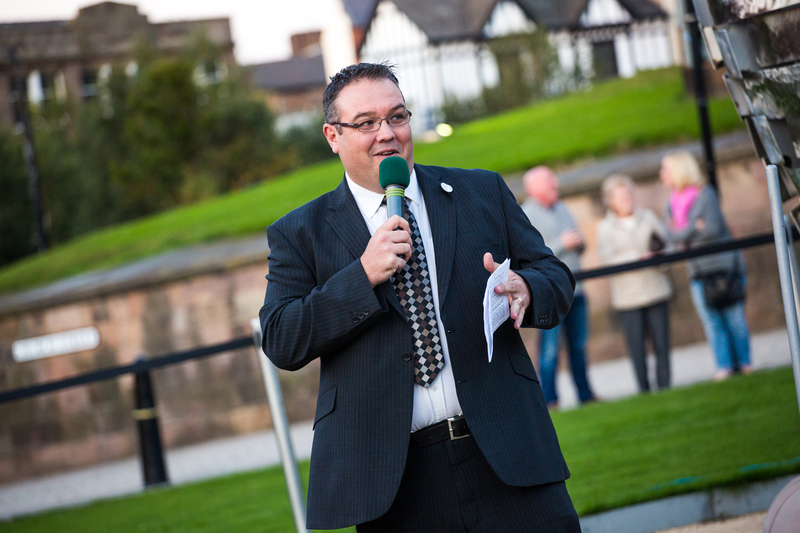 Can I compere an event? 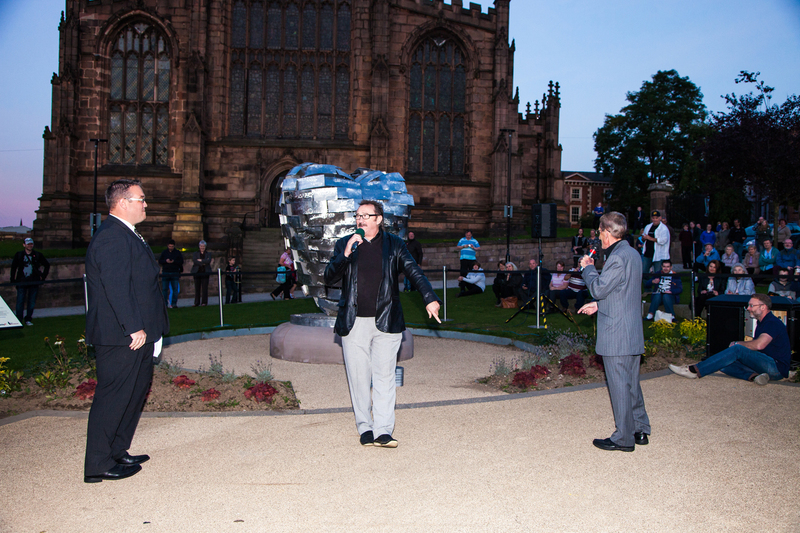 – Hosting the Heart of Steel Lighting – MY LIFE! One thing that not many people will know about me is that I really enjoy comparing events. 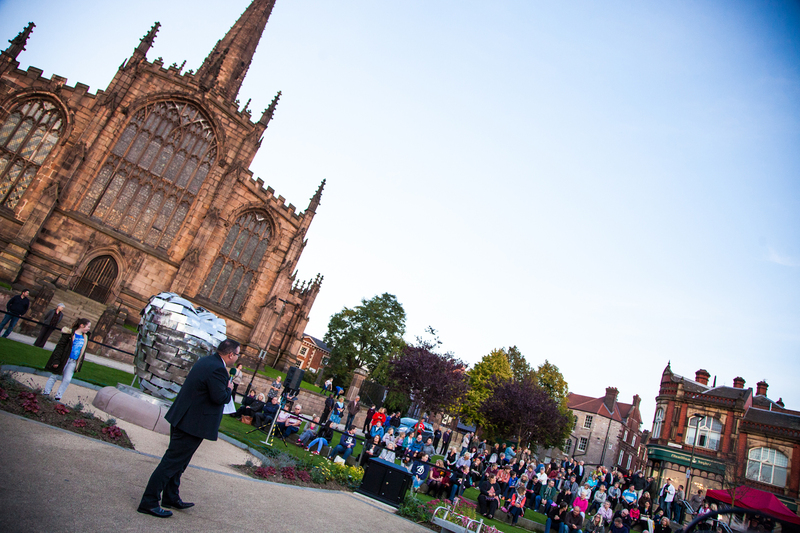 This all started about a year or so ago when I was asked to host the Lighting ceremony for the Heart of Steel in Rotherham Town Centre. In case you don’t know what The Heart of Steel is, let me give you a little insight. Where is this going you ask. 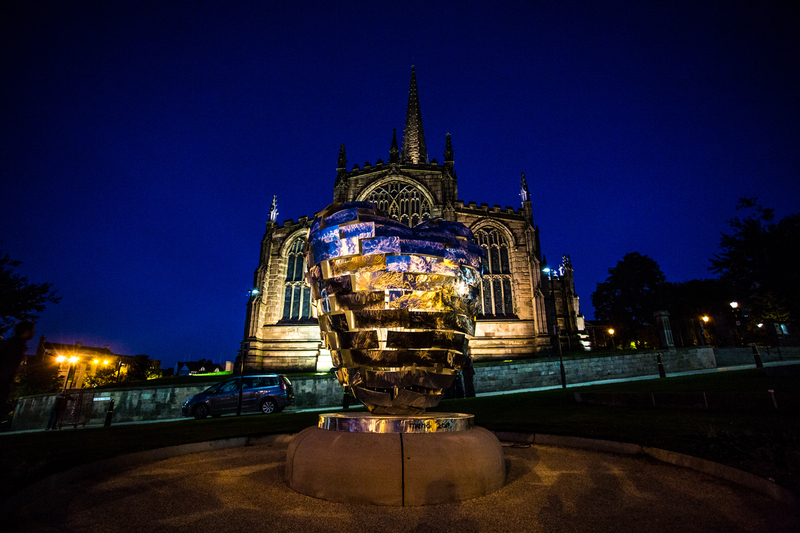 Well I was honoured to be part of the team that facilitated the Heart being placed in its current location. It was a true honour to be asked and one of my proudest achievements to work within this team which consisted of some great people! 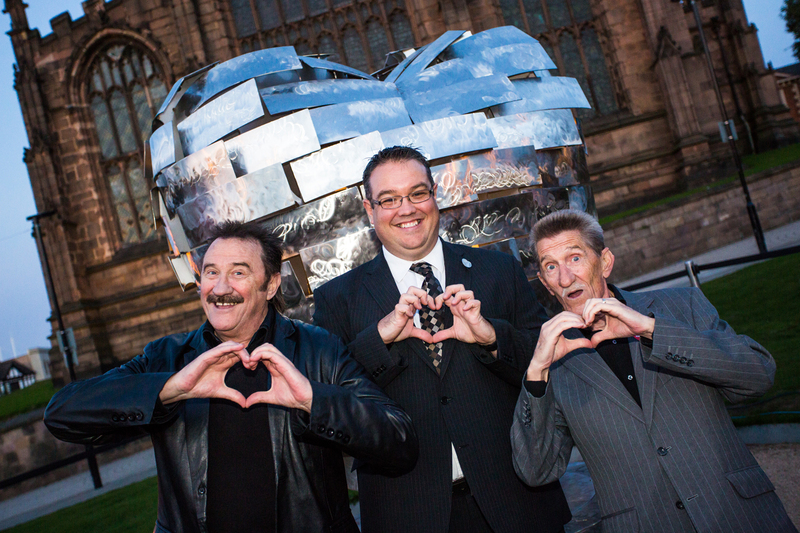 During the Summer of 2015 their was a big ceremony to unveil the heart. This was a fantastic afternoon hosted by Dean Andrews. Following this there was the process of adding the wiring as the heart does light up. It was decided that there would be an official lighting ceremony. 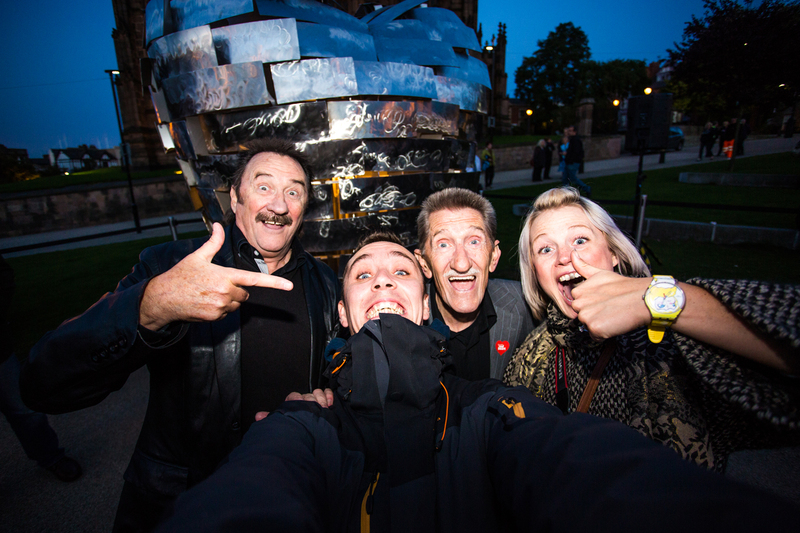 If you read my post on famous people I have met, you will see on there The Chuckle Brothers. 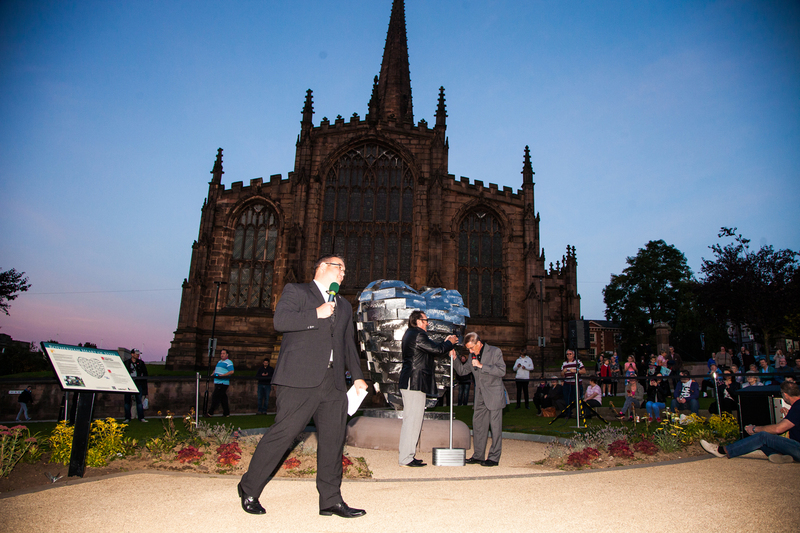 After a few phone calls from me they agreed to officially “Light the Heart” So one evening in September 2015 we organised an event in the Town centre to Switch it on. I was asked to host the event and, well, I loved it!! What an honour to be asked and something no-one can ever take away from me. From this point forward I was a little hooked! You will see from the pictures the amount of people who were there and I have to admit I was a little nervous to start with, but it went really well! I am fortunate enough to still be involved n the Man of Steel, as this is a project I truly believe in and will certainly put Rotherham on the map nationally, if not internationally. You may also have seen one of my posts about Visit Rotherham. This is an initiative I started and developed. Since I have moved on from the Chamber I have kept the project and am in the process of setting it up as a Charity. Once complete I hope to raise funds and get funding to support local projects within the borough to raise the profile of Rotherham as a both a tourist destination and to show the residence of our town, exactly we it has to offer. I can’t finish this post without thanking the best photographers! Nick and Nic from Photogenick! Thank you so much and all this pictures are from them! The Simple Business Card – Make it work for you.